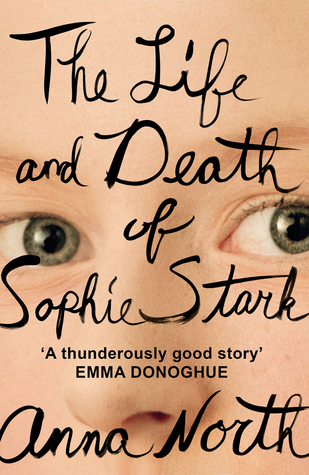 With a title like "The Life and Death of Sophie Stark", there will be no prizes for guessing what this book will be about. But what is striking about this remarkable book is not the story that it tells but the way it tells it. Sophie Stark, enigmatic film director, is represented to the reader through the testimonies of those who knew her, with each chapter forming in its way a short story. Only two of the voices are given more than one opportunity to speak, and the portrait of Sophie which emerges is fragmented and not always flattering. Yet the overall impression given by each voice is that Sophie is the kind of person who inspires fierce love in those around her; and given the trouble she seems to cause wherever she goes, this speaks of a very special character indeed. The book begins with Allison, a young woman who performs a scary story at an open mike night and is afterwards approached by Sophie who wants to turn her story into a film. Allison has adapted her story from a real life experience, a secret she later confides in Sophie after they begin an affair. Sophie is drawn to Allison and wants her to star in the movie. It is through her unorthodox direction that both the movie and Allison become big hits. But this journey is not without consequences, and this initial story sets in motion a repeating pattern of Sophie collecting tales from the people who love her and leaving behind heartbreak and hurt. She is like a magpie when it comes to stories, and this lends the narrative a sort of repeating pattern. In each chapter, a story is told, which becomes a movie in another chapter. Aside from the first and second chapters, this happens in a linear fashion, and the odd choice to start with the story of Sophie's second film rather than her first (a documentary about a college basketball star Sophie stalks named Daniel) becomes apparent later in the book when the reader realises that it is Allison who is most profoundly changed by her time with Sophie. The Life and Death of Sophie Stark is written in clear, sometimes brutal prose, which lends it a kind of honesty and clarity that other novels of this kind tend to lack. At no moment does the reader feel like the character's 'Otherness' is being held over them. Sophie simply is, and as such her story is told simply and well. Several lines left me running for a notepad to jot down, to inspire me in my own writing. Purple prose has no place in this amazing novel. There are five voices in this book: Allison, Robbie, Jacob, Daniel and George. Though the story is of Sophie's life, she is never given the opportunity to tell her story in her own words, though at times through dialogue with other characters she reveals that she is drawn to film-making because of an inability to communicate what she really feels with other people. Certain aspects of Sophie's personality make me wonder if she is perhaps on the autism spectrum somewhere, but I am no doctor so I'm simply making a guess. Interspersed with the chapters, the author has included reviews of Sophie's films written by a fictional journalist named Ben, who we see from the titles of his work is making his way up in the world each time Sophie makes a new film. While he frequently describes Sophie's work as amateur or imperfect, he also remarks on her ability to move people. If it is Sophie's aim to use her films as a way of making connections with other people she is succeeding and it is only a shame that this communication can never go two-way. It seems like the more fame Sophie is given, the more alone she feels. I thought it was original,gripping and just different. I gave it 5 stars.